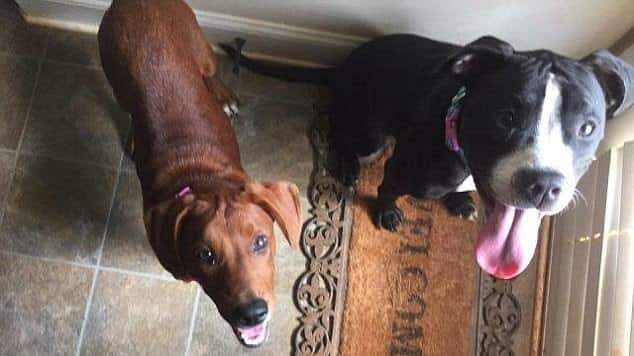 Two stray dogs named Kala and Keira were up for adoption, but sadly, no one wanted to take them in. 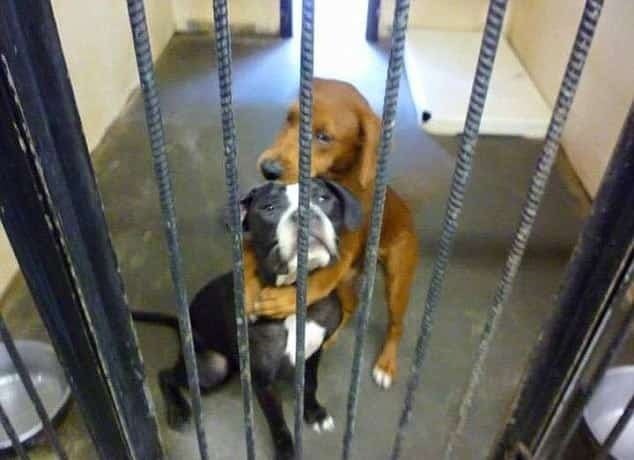 The poor dogs had no one and the shelter couldn’t keep them any longer because they didn’t have enough space. 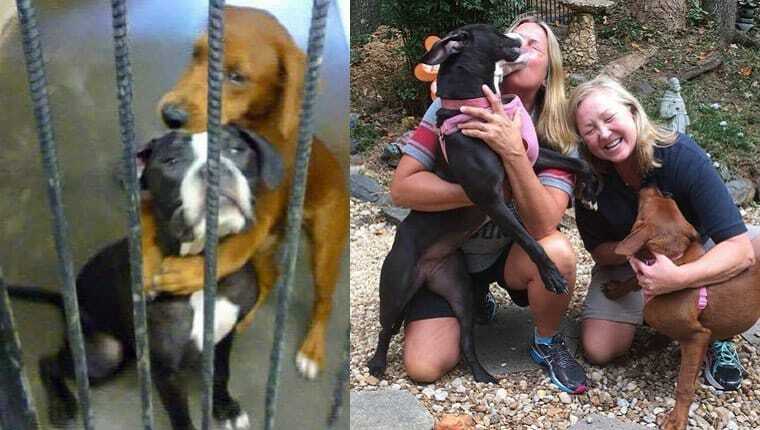 However, someone took a picture of the two dogs hugging each other on their last day and the picture went viral. What happens next will leave you in awe! Stray dogs have it the worst! 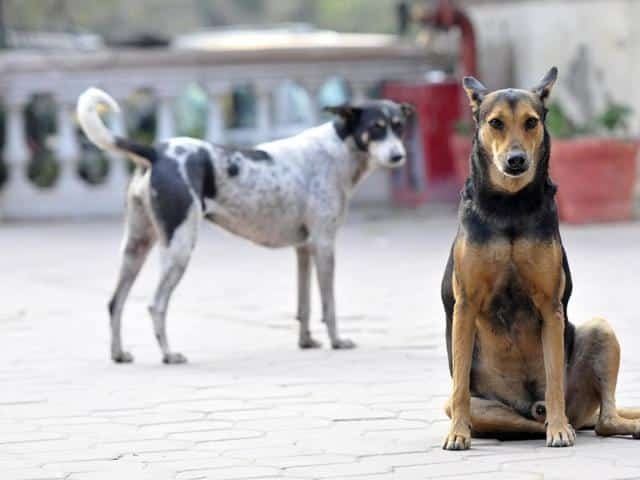 They don’t have anyone to care for them and living on the streets is not an easy task, especially when it comes to finding food. Luckily, some shelters save them and help them find adoptive families. 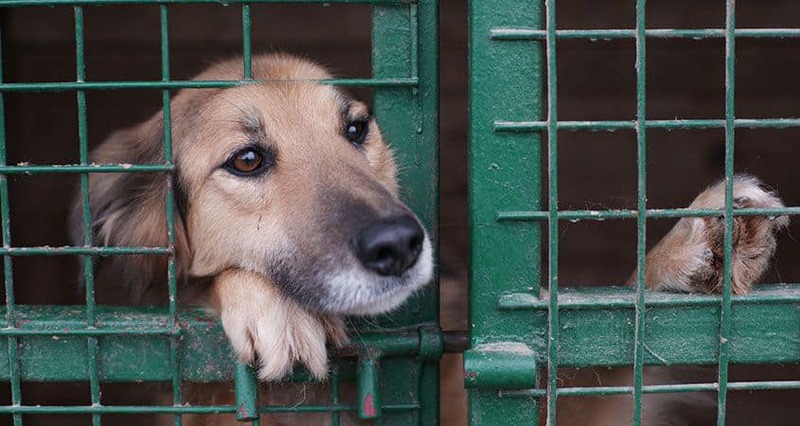 Even though rescuers save stray dogs, going to the shelter is not always a good thing. The reason we are saying this is because they are kept in cages until they find an adoptive family, but that is super difficult. Keep reading to find out why! Even though there might be many people who want to get dogs, most of them choose to purchase them from pet stores. 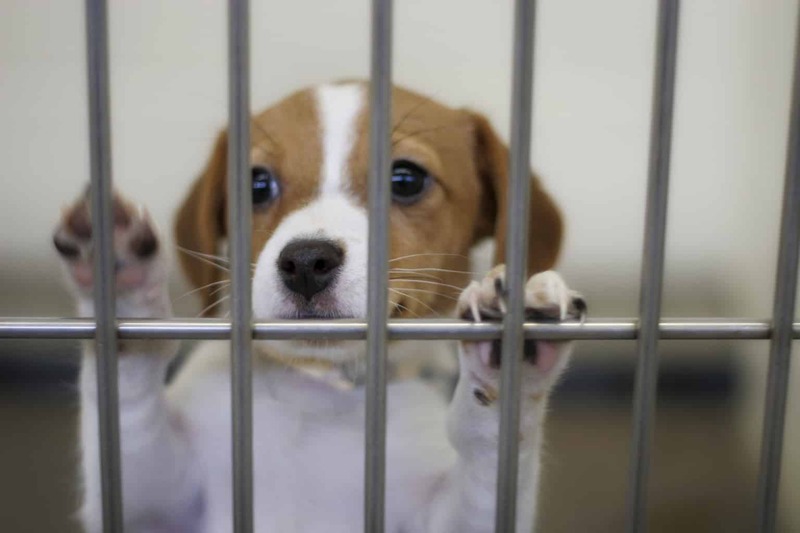 This leaves the shelters with hundreds of dogs to take care of. The sad part about dogs who live in shelters is that the cages can get overcrowded and older dogs get put away. As heartbreaking as this is, nearly all shelters do it and this is why people should start adopting pets instead of buying them. 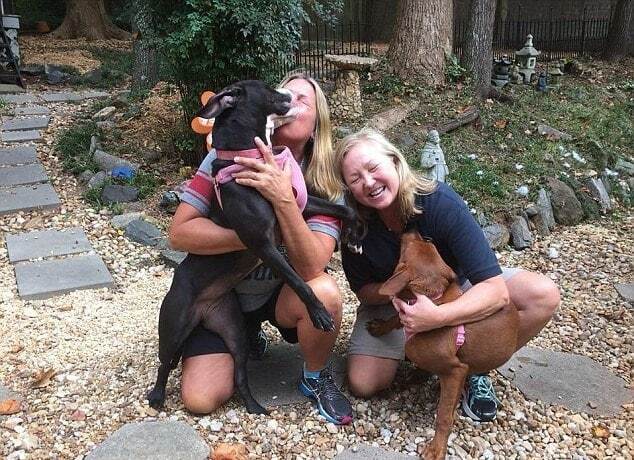 Kala and Keira’s story is heartbreaking, but don’t worry, it has a happy ending! Read along! These two are Kala and Keira, and this is the picture that went viral. Someone took a picture of them and posted it on Snapchat with the caption “‘I’m Kala. This is Keira. We’re so scared in here. The people working in the shelters see how scared we are but just told each other that today is our deadline”. Then, something amazing happened! 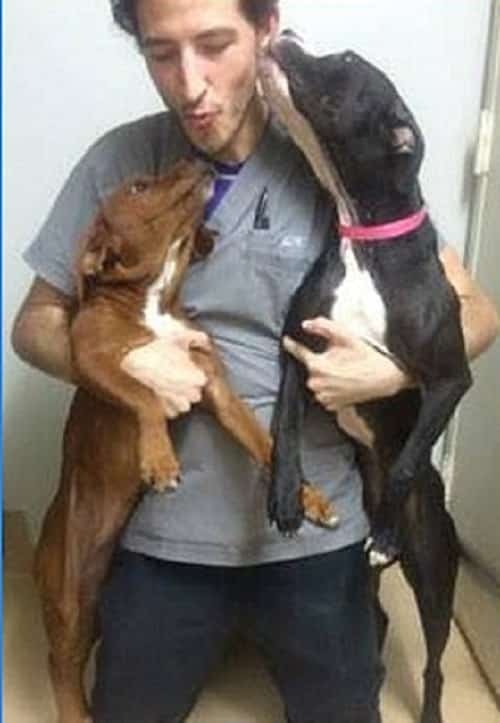 As the picture of Kala and Keira went viral, someone saw their pain and decided to adopt them, but it’s not the man in the picture. Keep reading to find out who chose to save Kala and Keira. Kala and Keira had someone to love them! 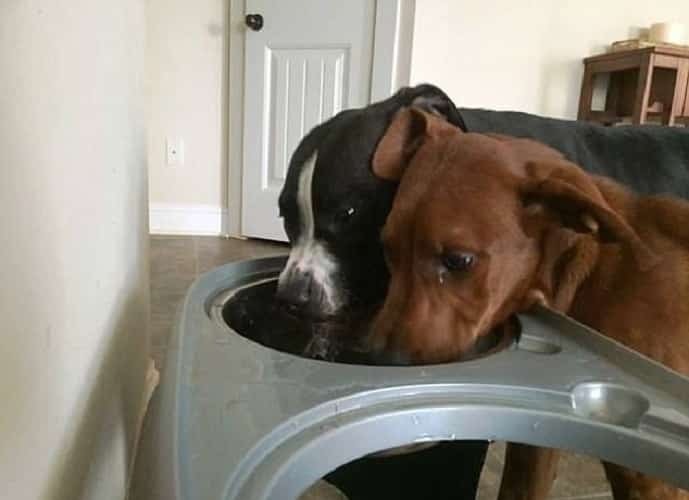 After spending so much time living on the streets, the two dogs finally had a loving home. I think it’s safe to say that Kala and Keria deserve this. Kala and Keira were used to living in fear, but everything changed now that they have been adopted. The two Atlanta women are life savers and there’s no doubt about that! 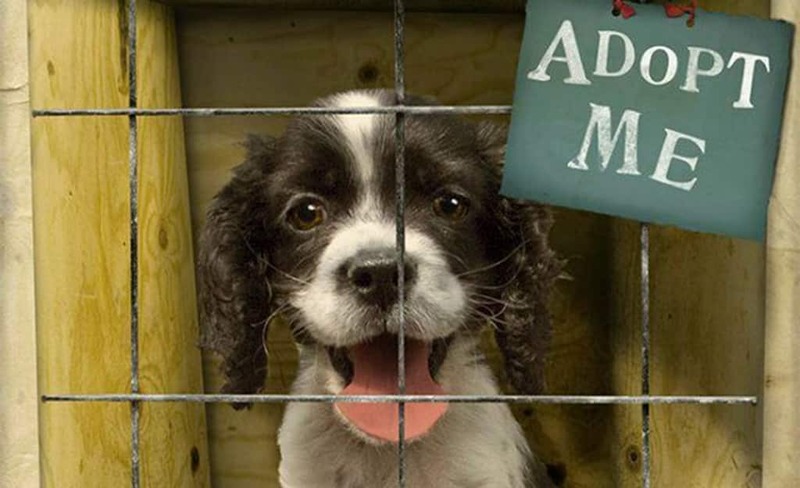 If there’s something we take from this story, then it must be that people who are interested in getting a pet should try and adopt instead of going to the pet store. 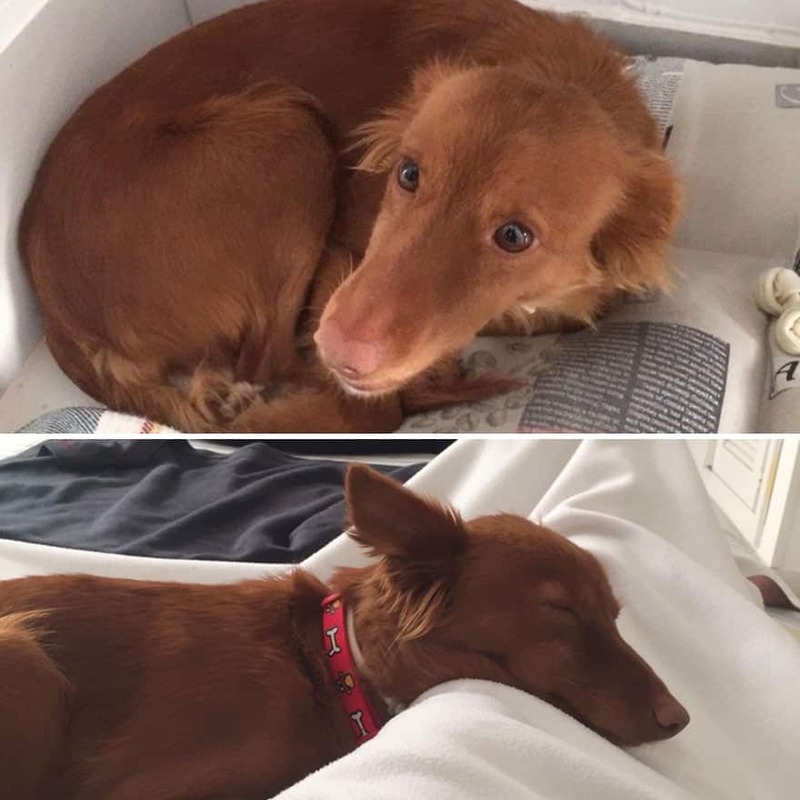 In fact, let’s check out some before and after pictures of adopted dogs and see how a little bit of love changes their lives. Photos #5 and #2 are our favorites! 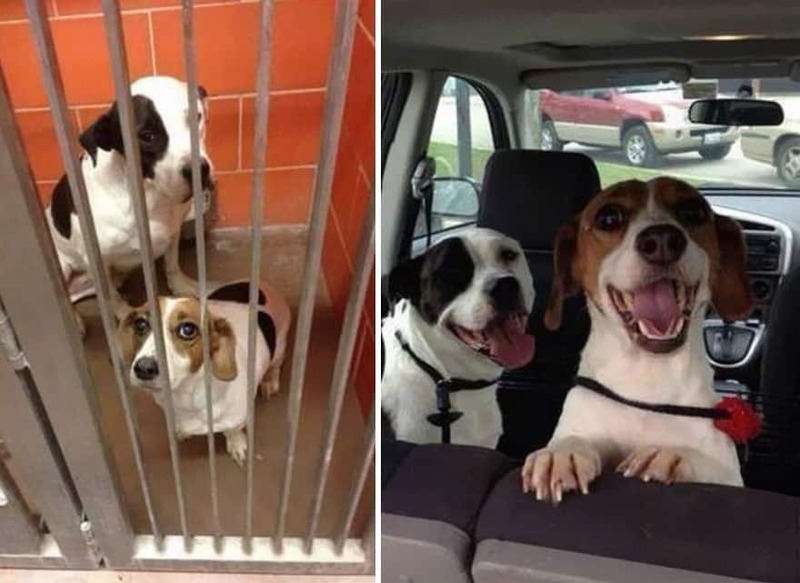 The first picture makes it seem like the dogs used to be cellmates. 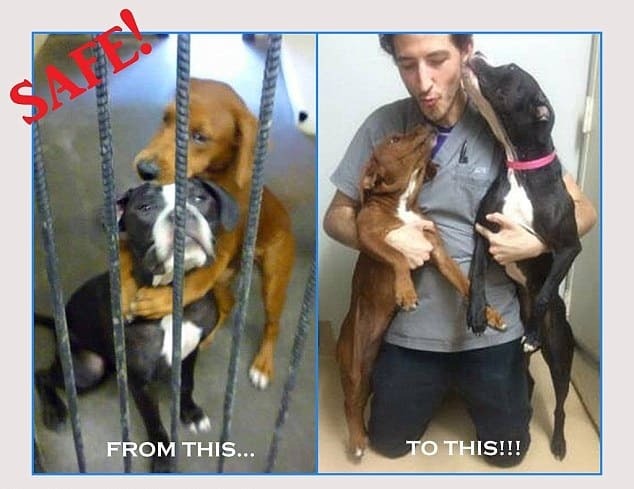 However, everything changed for the better once they were adopted. The next picture will make you smile! 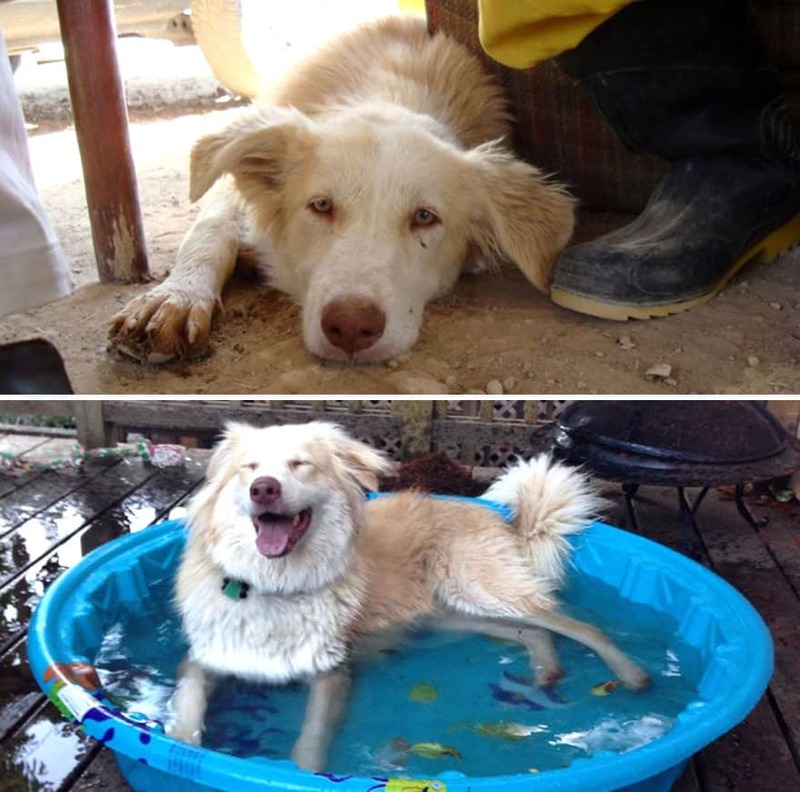 Just look at how much a little bit of love and affection can change a dog’s life! 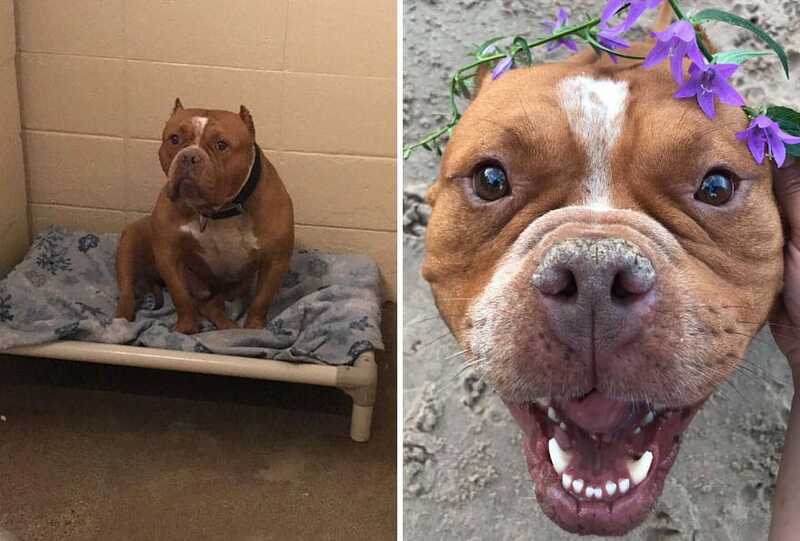 This is a prime example of why dogs who get sent to the shelter need to be saved as soon as possible. What better way to cool off during a hot summer day other than to chill out in the pool? This happy dog knows how to spend his afternoons. The following picture will break your heart! Isn’t it incredible how big is the difference between the first and the second picture? 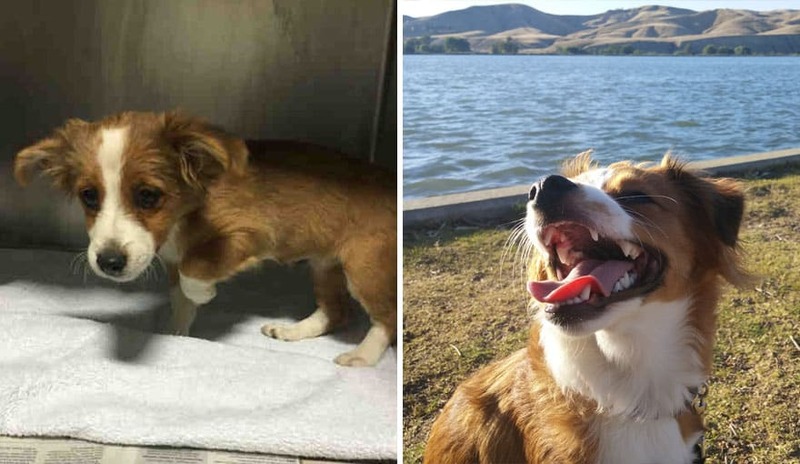 This doggy went from a sad, crying pup to being filled with life and joy. 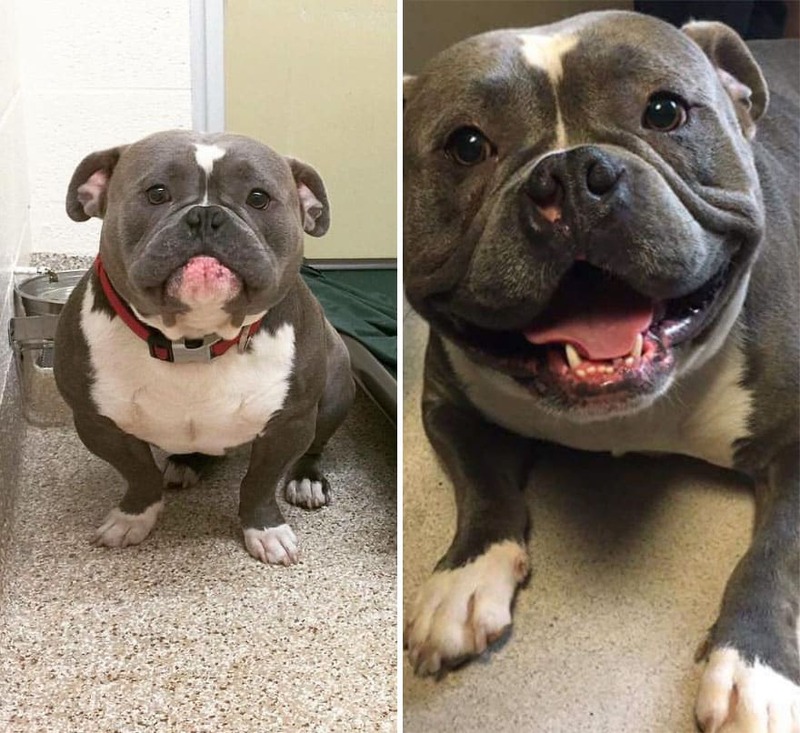 This pup’s name is Frank The Tank and as we can clearly see, everything changed once Frank was adopted. 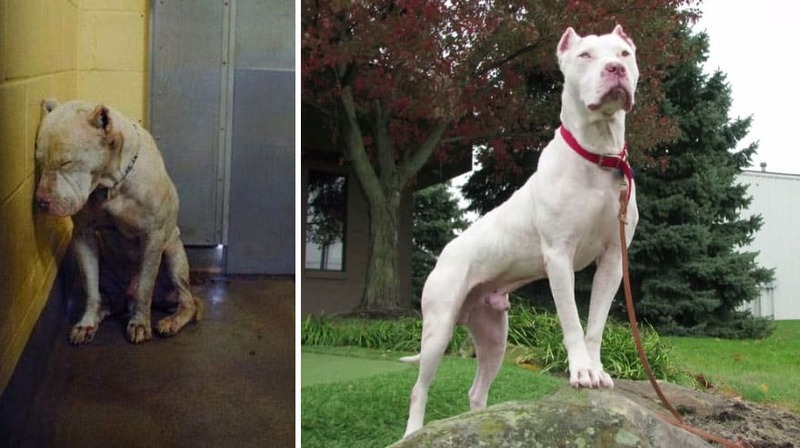 The next picture will show you why there are so many dogs in shelter houses. Many people purchase dogs and after a couple of days decide that they don’t like having a dog around the house. This is how most dogs end up on the streets and why shelters are so overcrowded. I wonder what this doggy is dreaming about. I bet that it has something to do with chasing cats and eating delicious treats. 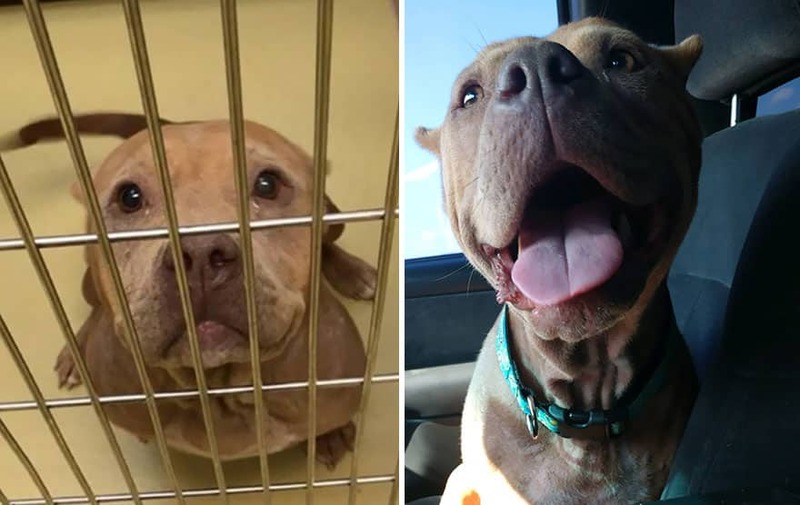 Taking the dog away from the shelter is one of the most incredible things ever, just look at how happy this got on his ride home! 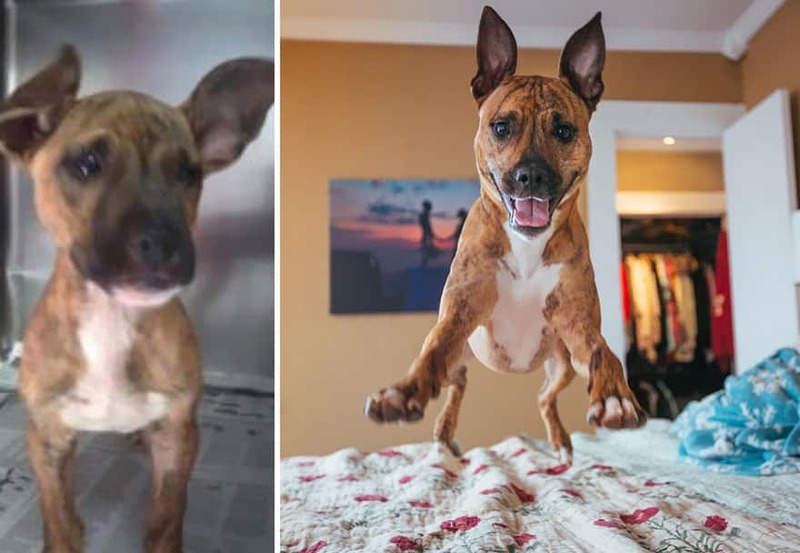 Looking at these before and after pictures, I think it’s safe to say that adopting a dog is going to change their lives for the better. Not just that, but dogs will also bring joy in their new adoptive parent’s life.